Let me iterate this point: we’re Christians, not computer illiterate. If God has blessed us with a computer to allow us to experience the unpredictability of online dating, then so be it. Gone are the days when we only date people recommended by family members or close friends. It’s the 21st century and times have changed. Some people may scoff at online dating, but it’s hard to ignore the fact that it has slowly become part of the normal procedure for many single people. Christians may think there’s too much of a risk in meeting someone incompatible. Here’s a solution – go on a Christian dating website! Even better! Now you can meet weirdo potential partners of the same faith. Ultimately, the decision is down to God and if He feels that your partner is on Christiandates.com (or whatever), then go ahead. Well that’s just crazy talk. We’re Christians, not dead inside. I’ve never met a Christian who isn’t fun. Well, ok that’s a lie, but then I’ve met non-Christians who are boring as hel… heck. The point is, we’re regular people with a faith. Like atheists who don’t have faith. We go to the cinema, we listen to hip-hop, we dance, we play football, we watch football, we eat at nice restaurants, we enjoy a drink or two. Do I need to go on? Here’s my question – does the Bible tell you how many days to wait to text a girl after your first date? Or when you should befriend them on Facebook? 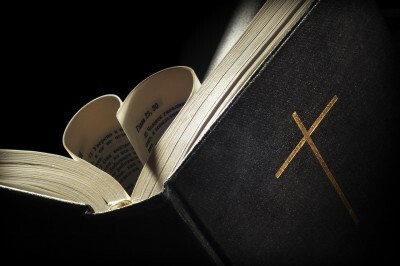 As many truths as there are in the great book, it doesn’t go into that much detail when it comes those specific things. Partly because dating culture was different back then and secondly… the social media explosion had yet to impact the indigenous people of Israel just yet. So with that out of the way, what do Christians have as a dating guide? The same thing as everyone else, basically – family, friends, books, videos, tutorials. Except there’s also the big Man upstairs to factor into the equation and give you guidance as to whether you should wear those sandals with your pink pastel suit on the next date. (*Hint hint – it’s not acceptable). What kind of dry dates have you been on? I mean, if you want to spend 2 years (or however long your pre-marital period is) beating round the proverbial bush and avoiding all forms of physical contact, then cool. However, part of the process of getting to know someone and judging if you want to spend the rest of your life with them, and by ignoring all physical aspects, you’re missing out on one of the most enjoyable aspects of dating. And I’m not even talking about what you’re thinking I’m talking about. If that is your sole reason for going to church, then I think you’ve probably got the wrong end of the stick. I would hope that, at the most, Christians are going to church with the reason of developing a relationship with God and furthering their understanding of their faith, thanks to some good teaching, at the forefront of their minds… rather than looking for wifey/hubby. I’m pretty confident that this is the case… but of course, depending on what type of church you go to, there may be some hotties, which of course is an added bonus. If you find yourself concentrating on the behind of a certain choir singer rather than on the teachings of Pastor Johnson then you, my friend, need to have a serious think about what you are doing. Maybe head to that church full of old people where you can concentrate solely on the word of God. Said, no one. Ever. While a spiritual connection is undoubtedly an important factor, let’s not be silly here. There has to be chemistry with your potential partner because let’s face it – this could be the one you spend the rest of your life with (divorce has no place in our thinking at this stage, Amen). If you’re at a church with, say, 100 other people, the chances are you will all have the same belief in God. Does that mean you should just go after the first girl who flutters her eyelashes at you (or guy who flexes his bicep?). Nah bruv. Again, let’s reiterate. We’re Christians, not idiots. Don’t let your common belief blind you from making sensible decisions. If there’s no attraction or you don’t like the way she dresses or despite the same beliefs, your conversations are dryer than burnt toast, then chances are she ain’t the one for you, son! Ultimately, it would probably (read: definitely) help if you put God first and foremost when making any dating decisions. God’s got your best interests at heart. Next story Date #8 – Pulled!